Computers, Arduino, and Pi, oh my! A blog from a DIYer, to fellow DIYers and aspiring techies! The Logitech G930 is the wireless sibling of the Logitech G35. Tuned for a little less bass and having less powerful drivers, the G930 makes for a comfortable headset that lasts a long time before needing to plug it in. However, many users have complained about this headset cutting in and out during gaming sessions - not cool, especially when the game loses the headset as a valid sound option when it comes back online. This all being said there are some sure fixes - all having to do with some theory in wireless tech. Read-on to solve your G930 wireless issues! 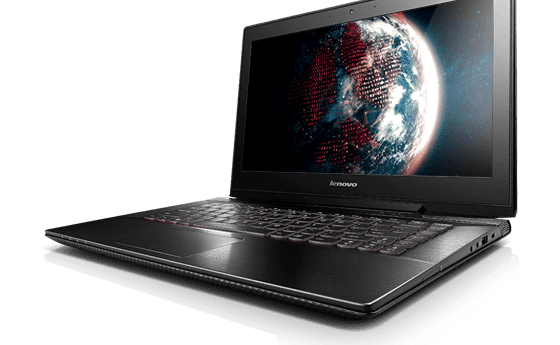 If you have been looking for what I like to call the PC gaming trinity - affordable, thin/light, and having gaming specs - then look no further than the Lenovo Y40. This review will be based on the cheapest model in their lineup, so its performance will only prime you for how much better the other models are because this one is pretty darn good. Find more pictures and the full review after the jump. Well, it has been quite some time. If you care to know, finishing an undergrad, applying for a masters, and preparing to raise a baby is very time consuming. I was hoping that I would have some sweet projects to share in that time, but I do not. What I do have, however, is much experience gained from doing things for other people. Unfortunately, I either cannot share those or they are not really fit for this blog. In lieu of that, I thought I would continue giving tips and theories on doing certain projects. This time, it is modding in general! After posting on solder iron cleanliness, I thought I would write about my experiences soldering with proper soldering irons, lighters, and even a kitchen stove. 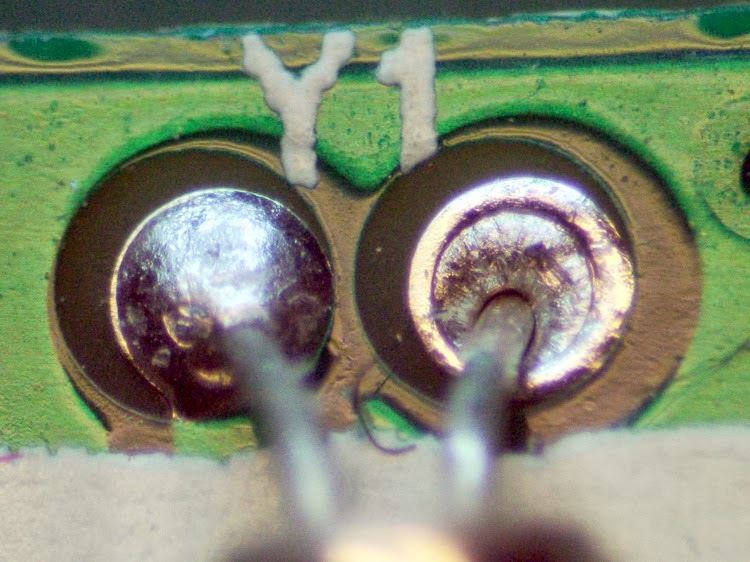 Soldering properly is the key to both a strong joint and a conductive one - read on to find out the theory. If you have ever completed a summer to-do list by the end of summer, please tell me and I will reward you with cake or some equivalent delicacy. Well, I can say I finished my biggest project and boy was it worth it. For those of you who have never considered fiberglass, yes it is as versatile as duct-tape, yes it is messier, and yes it can look smoother than my bumpy speaker box. Read more for some comments and how to get started on your own build! After about five motherboard replacements in my lifetime, I feel confident in my method of motherboard replacement without a clean Windows installation. I've switched between Intel and AMD each time. Specifically: Intel → AMD → Intel → AMD and now INTEL again. Uninstall motherboard specific drivers or utilities using Revo Uninstaller free version. universal things such as USB can stay, as well as non-motherboard specific drivers such as your display adapters. 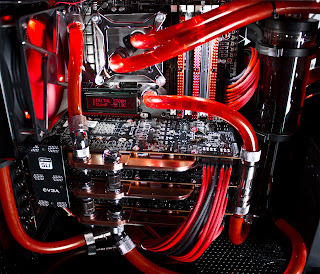 Until you replace your motherboard you will lose all functioning of the uninstalled pieces of hardware (be warned!). 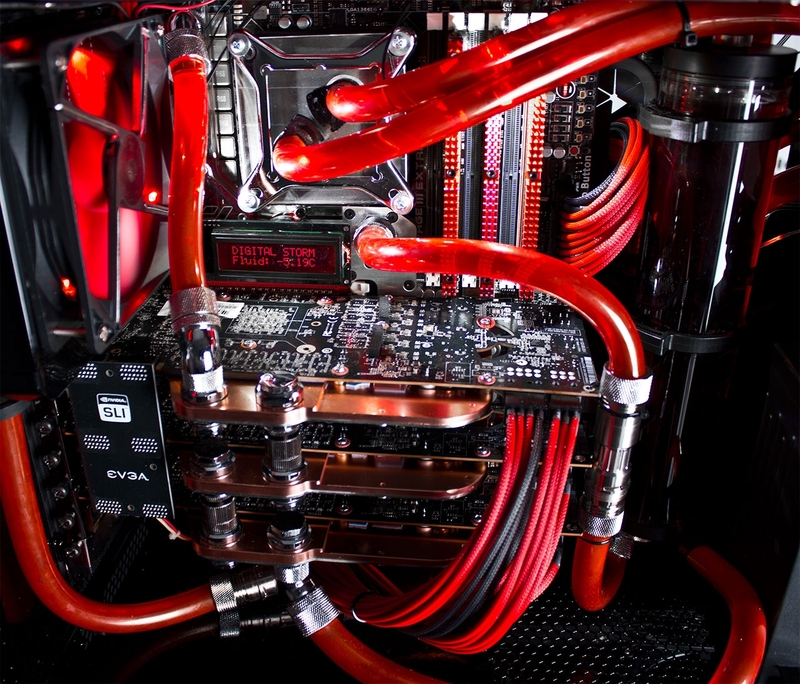 As long as you catch everything, you should have no problems switching over to a new motherboard. Windows might have to complete an Automatic Startup repair. This can take awhile, and (in Window 8's case) you will not see the repairs because the screen will be blank with only a Windows logo on it until it is finished. By the way, this is probably Microsofts stupidest attempt at simplifying the OS. I think we all like simple computing, but not at the cost of not knowing what is going on when it is critical. If Automatic Startup Repair does not help, insert your pre-made recovery disc (you made one, right?) and try to make repairs from there. It should work. If not, boot into Safe Mode. Press F8 during boot until a dialogue pops up asking you to choose your Windows boot type. Choose Safe Mode (obviously) and check and see what drivers may be conflicting, need to be deleted, or need to be installed. If all of this fails, you will have to do a clean install. This is why you should have a current backup handy to restore from later. Better yet, make an EasyTransfer file just before you make the switch to streamline the process of getting things back to normal. A backup insures redundancy, while EasyTransfer will make things simple. In the end, some say that this is a gamble. I've never suffered major problems, but some computers may be more finicky than others. So like a first class newb, I booted into my BIOS without thinking and changed the SATA controller from AHCI to RAID. I rebooted and Windows came up with a startup repair dialogue. It couldn't repair, nor could it figure out why. Not only that, but my Windows-8-made recovery disc didn't work. I was facing a full reinstall via DVD when I decided to check the command prompt in the recovery environment. The log file located at C:\windows\system32\logfiles\srt\SrtTrail.txt yielded no information. It showed all tests were passed, even thought Windows wasn't booting. So I got the idea to fix the MBR. Running bootrec, I chose bootrec /fixboot and then bootrec /fixmbr. That got me up and running again without rolling back or completely reinstalling. If you aren't yet competent in RAID, heed this warning: Do not run a hardware RAID with an existing installation of Windows. It has been known to be done, but is hazardous. Instead, plan to do it upon clean installation or let Windows handle a RAID via software. This applies to a wide range of electronics, not just computers. Rather than resort to daunting, expensive, or complex (all three tend to go together) cooling methods, there are many ways in which you can utilize natural physics to cool components cheaply and effectively. The picture on the left looks awesome, but is expensive if not complex. Lets face it, it is just as cool - if not more - if you can harness nature through your own cheap resourcefulness to get the same performance. I was writing an essay the other day and, well, when you write philosophy you tend to make up words that sound real but might not be in a dictionary. For example, just add -ify or -ness or better yet, -edness to words. Like: thing→thingify→thingness. Or: constrict→constrictedness. I can't even do justice to some of the crazier words I've read. 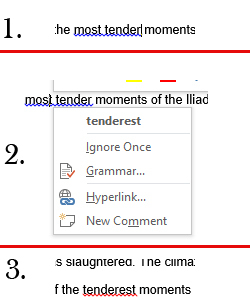 Anyways, Microsoft Word has a hard time with this kind of English and I managed to confuse it with my use of the word 'tenderest.' Word didn't like any of its own ideas, apparently. Many people (especially audiophiles and audio engineers) have multiple sound outputs from their computers. Furthermore, they might even have multiple inputs. It is a little tedious to go to the start menu, find sound, switch the device, close out, and then repeat it every few minutes or so. 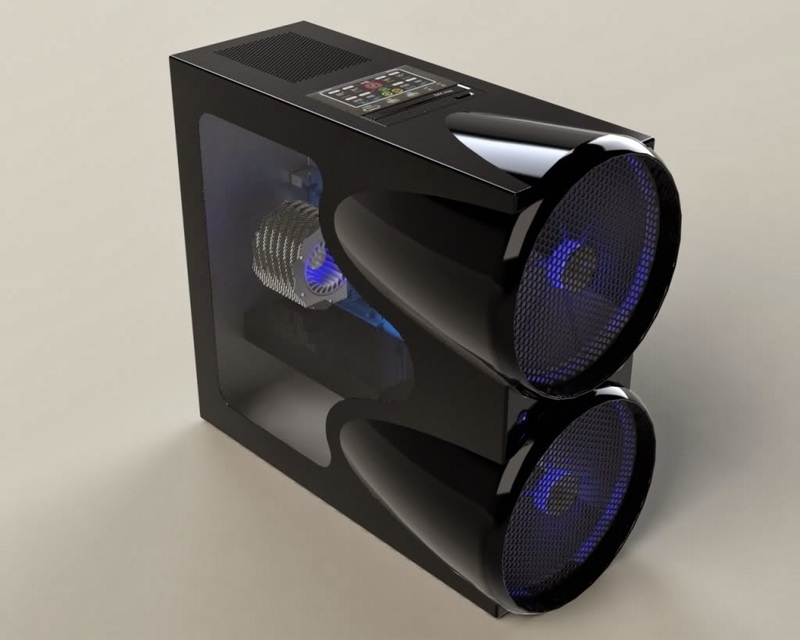 Between RCA, MIDI, and USB, chances are that you will have more than one set of speakers or music makers connected to your computer at any given time. Use AutoHotKey and a little custom script to make switching fast and seamless. Bits and Bytes: Know the Difference! Bits and bytes are terms that are often used interchangeably but are grossly misunderstood. Most people are guilty of this without even knowing. An internet provider might advertise speeds of 7Mbps and someone is like, whoa, that's fast! But in actuality they are getting about 1MBps tops. Notice the difference there? No it's not a typo. The lowercase 'b' denotes bits, but the uppercase 'B' denotes bytes. This is often a way the internet providers make it look like they offer fast speeds, because bits are smaller than bytes. Even though the cheap upgrade period for Windows 8 is past, there are still many good reasons to consider Windows 8. Being a Windows 8 user myself, I do not really understand the gripes I have heard from other users. I've heard many, but I just don't see them. I will agree that Modern/Metro UI is different, but using it for awhile has made it second nature to me. Also, Start8 by Stardock Software is worthwhile checking out if you are unsure of Modern UI. My chief reason for upgrading was a blown Solid State Drive. It was a good excuse, and lets be honest here, that should be reason number one to upgrade. Note: This list is not a ranking of best to worst reasons. Do you use lots of freeware (you should)? Do you have lots of computers? Are you a professional IT worker? If any of them are yes, then you need Ninite. Ninite is an installer that collects your favorite programs that you check off on a large list and every time you use it, it will batch install or update your programs. The website creates a small .exe that you can put on a USB stick which you just run and leave it unattended. Easy! Everytime I refresh my computer or work on a new one, I just run this app and reinstall all of my favorite programs. For IT pros, you can buy a version for network deployment and complete unattended installation. Take it for a spin, use freeware, this is a miracle program! Hard drive docks allow you to plug in internal hard drives to your computer without opening up your computer and installing it on internal SATA. These cannot always be justified, however, due to price and a lack of regular usage (until a catastrophe hits, that is). The solution to the problem is twofold. Maybe it isn't even a problem, but you can still get a two-for-one deal with my method! Recently I acquired a Microsoft Wireless Arc Touch mouse for free from work. Unfortunately, it was broken and my friend had no idea why. I thought, why not take it home and see if I can get a free $60 mouse out of the deal? Well, I searched around online for some time and found out that the secret and nifty power switch in the Arc often broke (you turn on the mouse by bending the body from flat to curved so you can use it, very cool). I guess that design is not yet well thought out, but the mouse is a very cool idea. Anyways, one guy from this thread said he fixed it by cutting the line to the power switch and tying the wires together. The Arc would be constantly on, but its battery life is beautiful and you can just take out the batteries when not in use! Note: There is another fix mentioned by Joshua in the comments. It did not work for my mouse, but it worth checking. If you don't know how to take the mouse apart, follow my instructions for that at least. The rubber sheath will be held by 2-4 screws. Find them and pull back the rubber sheath to expose the underside. Some time ago I realized that if I wanted to do projects at university without wrecking the tables in my apartment I would have to find a method of not incurring fees on my damage deposit. Well, the simple answer is to lay down newspaper, but that didn't cut it for me. I'm going to be mobile for a few more years yet and I want to work with my hands, not just my mind while I am at school. When I was working on my computer tech. degree, I accumulated a lot of tools, so proper transport was at issue. Here is what I came up with! If you have not heard of these, a reverse geo-cache puzzlebox is exactly what it sounds like. In normal geo-caching you use a GPS locator to find a treasure hidden somewhere between where you are and wherever it is! In reverse geo-caching, you already have the treasure, but the problem is that it is still locked! You must travel to the right GPS coordinate in order for the box to unlock. There are many ways in which you can accomplish making one of these boxes and I will outline one of the more basic and useful ways. Copyright © Vlad Matejka 2013. Powered by Blogger.